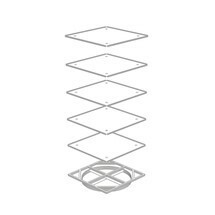 The revolving stand offers capacity for 16 drawer cabinets, allowing you to store small parts in a well organised, space-saving manner. 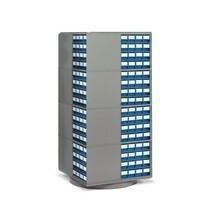 In many companies, drawer cabinets are used for the space-saving and well-organised small parts storage. 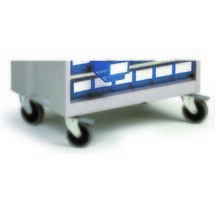 Move these with the appropriate steering castors – ensuring you always have your accessories and spare parts to hand.